Badge, c. 1977 (Inv. 59865). 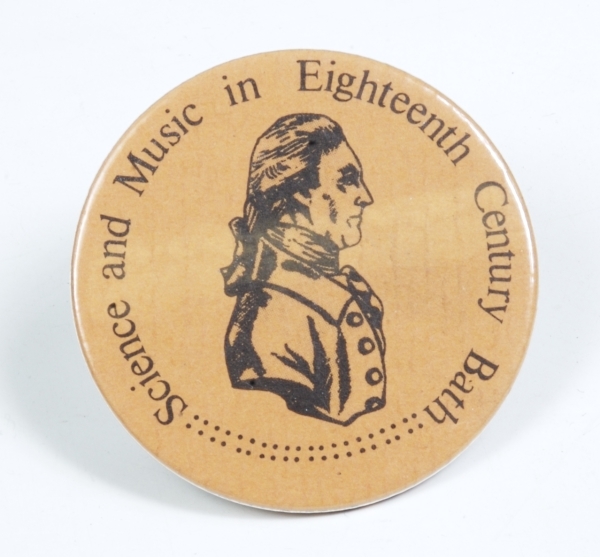 It’s a shame it doesn’t say ‘Science and Music in Twenty-first Century Oxford’. Story: When I was a child I was fortunate enough to have piano lessons, ballet lessons, etc, and at the age of 11 was put in for an audition to win a place at Tring Park School for the Performing Arts to do ballet. For the audition you had to dance, play an instrument, and sing. Singing was not my forte so my parents bought me a tuning fork to help with practice and I had huge amounts of fun trying to mimic the fork but alas it did no good. I still won a place at the school, which was held open for me for 2 years, but my parents could not afford the fees, and there were no scholarships available at the time, so I couldn’t fulfil my dream of becoming a prima ballerina. However, even though I cannot hold a tune, ‘can’t sing, won’t sing’ does not apply to me and if there is music about I sing my heart out to the horror of anyone that can hear me!